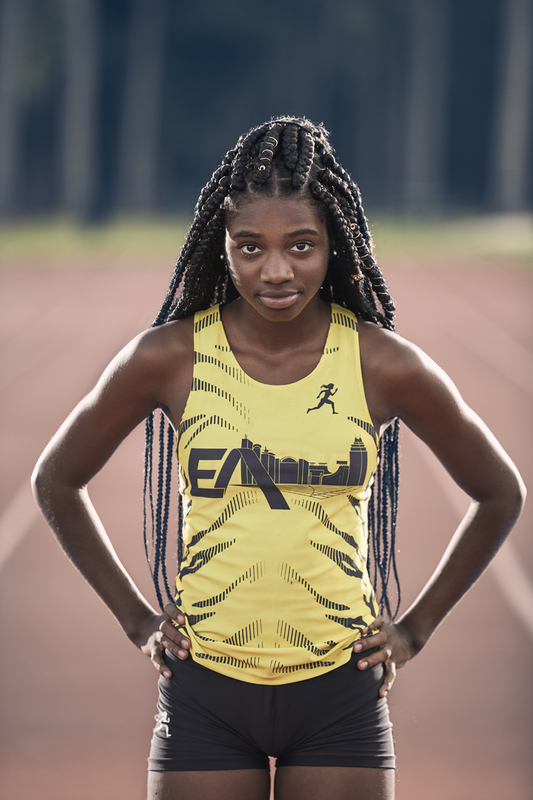 Tamari Davis has been called “the fastest 14-year old girl in the history of the planet” I slowed her down quite a bit…. for a Sports Illustrated kids magazine Sports Kid of the year story where she was a finalist. Tamari who is from Gainesville, Fla, has the world record in her age group for 200 meters and is expected to compete in the 2020 Olympics. According to her coach, Gary Evans say she has won the 100 and 200 in her age group at the AAU Junior Olympics every summer but one since. And that’s because she didn’t enter that year! Fitness and sports portrait by Miami advertising photographer Jeffery Salter.